This past Thursday morning, I hosted our third tech-talk/webinar for the community. The first two included tutorials that were targeted at absolute beginners. This time I wanted drill down and cover a more advanced topic: creating themes. Extract the images we needed using Photoshop. Extracted the fonts, colors, and styles we needed to reproduce the design in Codename One. Imported images into our Codename one project, and defined theme styles so that are component matches the look of the original design. Click here to try out the this component in your browser. Currently only Chrome, Firefox, and Safari are supported. 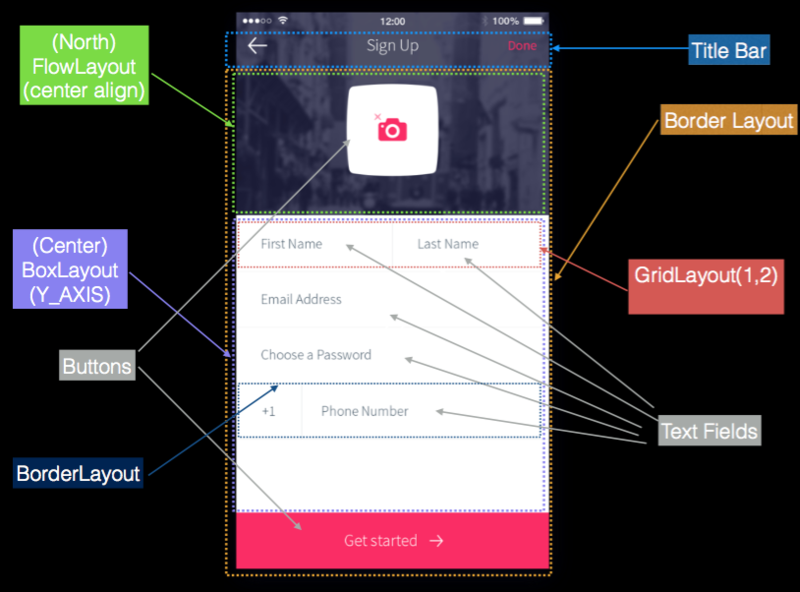 By applying just a few simple techniques, you can spice up your App’s UI and set it apart from all the rest. Near the end of the tutorial, I gave a sneak peak at the upcoming CSS theming support, and showed how we can produce the same design using CSS instead of using the resource editor. Personally I prefer to use a text-based format like CSS for defining my themes. It is easier to re-use styles between projects and share themes with other developers. Once you are well-versed in CSS, it is generally also much faster than working with a GUI tool. * Import the images that we want to use in our form. * Set background for the form itself. * Make the title bar transparent. * Use the TTF font in all components that need it. * Make the top-right "Done" button text pink. * When the "Done" button is pressed, make the text white. * Add styles for the text fields. * Text fields use iternal Label for hints. Set styles on those separately. 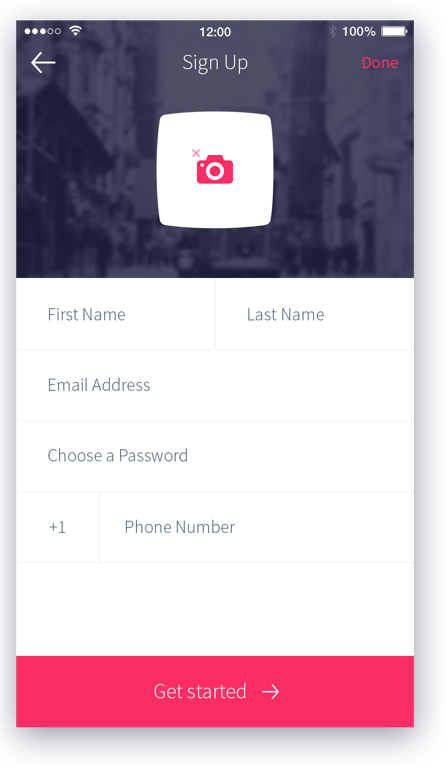 * White background for center panel (behind text fields). * Bottom pink "Getting Started button"
* Make getting started button gray background when pressed. Support for all current Codename One styles: colors, alignment, background images, borders (both regular and 9-piece), padding, margin, etc..
Gradients, shadows, rounded corners, and other nice CSS effects - that are performant. Auto 9-piece border generation for backgrounds and borders that require it (e.g. for rounded corners, shadows, and gradients). Loading images and fonts from both local paths and remote URLs. I’ll be posting more on this soon. Stay tuned. While the tech talk was centered around the tutorial, it also provided a forum for the community to interact and socialize. Throughout the presentation, the chat area was active with questions and discussions. With Chen participating in the discussion, and answering questions, this did not interfere at all with the tutorial, and it seemed to add a nice social dimension to the webinar. I hope this continues in future webinars, and I hope you’ll join us and become part of the conversation. As these webinars will be happening every two weeks, I’d like to make some time for members of the community to talk about things that they’ve been working on. 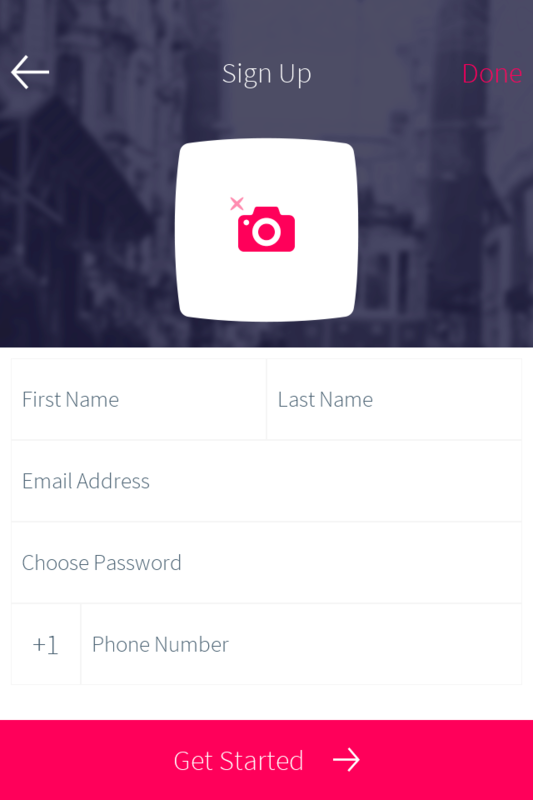 Have you developed something in Codename One that you want to share with the community? Drop me an email ([email protected]) and let me know your idea, and I’ll try to prepare a slot in an upcoming webinar for you to talk about it.